Propulsion Fund collaborated with UNDP on raising awareness about the Sub-regional Human Development Report, which presented the impact of May 2014 flooding on people in the region. The report points out that effective risk reduction requires an understanding of the vulnerabilities of communities and economies, with a specific understanding of which sectors and population groups are at risk. In addition to being in charge of designing various promotional materials, including the report itself, Fund demonstrated its competence by organizing the launch event in Sarajevo. 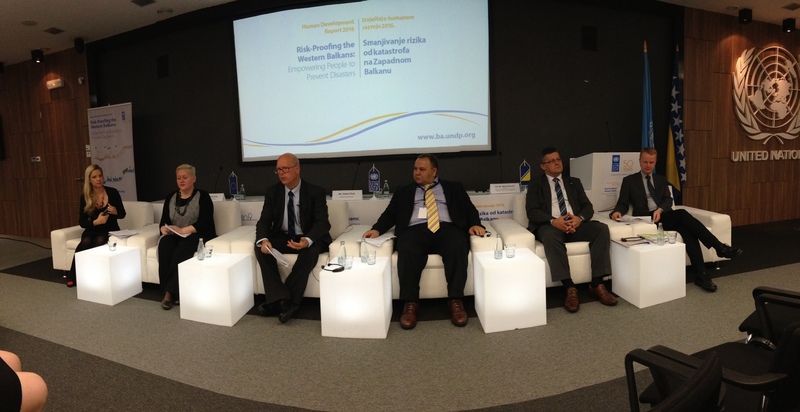 The event was highly visible and attended by high level officials like Helen Clark, the Administrator of UNDP, Mirko Šarović, the Minister of Foreign Trade and Economic Relations of Bosnia and Herzegovina and Melvin Asin, Head of Cooperation at the European Union Delegation to BiH.